Just as with many products out there, organic unfiltered, and unpasteurized, raw apple cider vinegar is best as it still contains the “mother” with all the good stuff. Depending on where you live, raw ACV may be hard to come by. 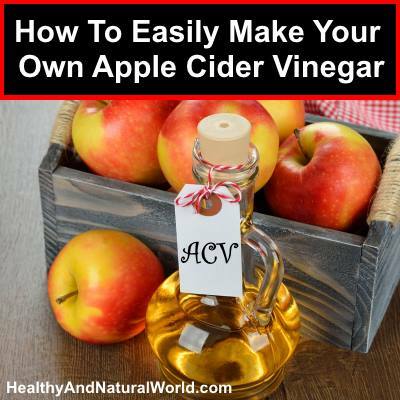 Luckily ACV is super easy and cheap to make at home. The only downside, it takes some time to naturally ferment the apples. The term “scoby” is used to describe the “mushroom” that forms during the production of fermented beverage called combucha. This is actually not a mushroom, but a culture of bacteria and yeast present during the production of the fermentation. It usually forms on top of the fermented liquid and can be removed and preserved for another batch. Since scoby is not easy to find (you can grow it yourself though), use instead 2 tablespoons of raw ACV with “mother” as the starter. This will speed up the process of fermentation as without the starter it will take a very long time to ferment. For your next batch, use your own mother, but add 1/3 cup of the homemade ACV you’ve previously made as it tends to be less concentrated the the store bought raw ACV. For starter ACV is not avaiable in local stores in India. I don’t live in India, but looking on the web I’ve seen several references of places that sell raw ACV with “mother” online in India. Where do i get mothers. For apple cider viniger. For the first time that you make your own ACV you will need a starter which is 2 tablespoons raw ACV with “mother” or scoby. You can buy raw ACV with “mother” in health food stores or online (like Amazon). When you have your own first ACV batch, take 1/3 cup of it and make the second batch and so on. What is starterculture to make acv at home? 2 tablespoons raw ACV with “mother” or scoby or if you use your own ACV with mother from previous batch, add 1/3 cup (see in the recipe). Because I have no mother or scoby, do I follow the recipe as above but without the “mother/scoby” and from this concoction I put together will I end up with the “mother/scoby for my next batch is that correct…..Just a little confused…..
Hi Marcia, you need a “mother/scoby” even for the first time. If you don’t want to use the “mother” for the first batch, it will take you 6 months (!) until it is ready – see instructions here: http://www.wikihow.com/Make-Apple-Cider-Vinegar. But because it is not so viable, the best thing is to buy a good quality raw ACV for the first time and use it as the mother. After the first time you will have your own ACV which will serve as the starter for the next time. 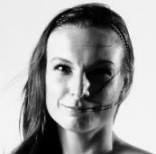 Another option is to buy a starter in a wine shops or online (like “Amazon”) for the first batch. Please tell me where easy to buy apple cider vinegar… which shop? Raw unfiltered ACV can be bough in some supermarkets, health food stores, or online shops like Amazon. I have a bottle of Heinz filtered ACV. Can I use it to make my home-made ACV. Thanks for your wonderful website. Hi Rahul, filtered ACV is not suitable. you need raw ACV (with mother or scoby) as the mother or scoby will add the useful, friendly bacteria to speed up the fermentation process. When you make your second batch, you can use your own mother or scoby instead of store-bought raw ACV. I started making this last week but within a few days the apple pieces at the top of the jar have turned very brown (like they’re spoiled) while the pieces underneath them are still normal colour. So I have a layer of brown apples at the top of the jar (about 8 pieces of apple) while the rest of the apple pieces below are fine (about 25 pieces of apple). Should I remove the brown apples at the top of the jar or leave them in? It probably happened because you didn’t stir the mixture every day (see in the instructions). When fresh apples are peeled or cut open, the apple’s cells are exposed and react with the oxygen in the air which is what turns the apple brown. You can leave the brown apples and stir the content, unless you see that a mold was formed on them and then you need to discard them. Thanks Jenny, great advice and you’re right I didn’t stir the mixture so that was probably what caused it as you described. I’m making another batch today so I’ll be sure to stir frequently this time. Is it ok for some apples to poke out above the water at the top of the jar or should they always be under the water somehow (with a weight or something)? By the way, I didn’t get an email telling me that you had replied to my original message, I think there might be a setting on your side which needs to be changed so that people get notified about messages on this page? I think you didn’t get my reply because it probably got into your spam. As for your question, the apples should be completely covered. Hi, I have an old store bought acv with mother but it has been stored with no lid and hasn’t been in the refrigerator and is probably more then a year old, the mother is floating on the top and it has a musty, vinegary smell. I think it could be off… I read somewhere that the mother could be dead if it is floating in the top. I have read that a bottle of vinegar should be tightly sealed when not in use as any contaminants (even dust particles) that will get into the bottle might cause the liquid to deteriorate faster. I would not take any risk and throw it. Jenny for how long can this homemade ACV last and how do you store it? ACV can last for a very long time (several months) if you store it in a dark cool place.